At the time of Sir Winston Churchill’s death in 1965 The Royal Mint issued a coin that became a classic, the essence of the man expertly captured by Oscar Nenom. In 2015, a second coin will commemorate the 50th anniversary of the death of the great man, making him the only statesman ever to be honoured on two UK coins. 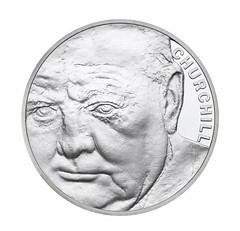 This £5 coin bears a portrait that fits with the artistry of Nenom’s design; created by Mark Richards FRBS, it conveys the spirit of Winston Churchill as he was: larger than life. 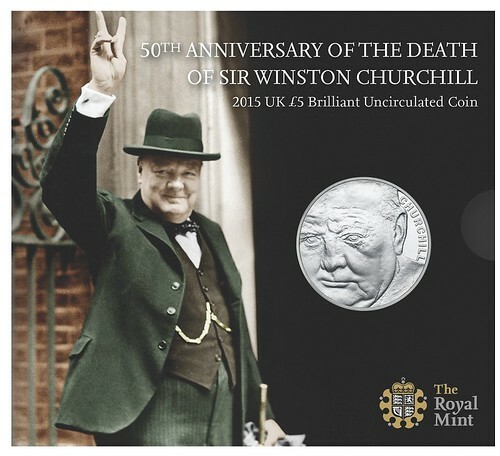 Readers might ask whether the fiftieth anniversary of a death of even someone as significant as Churchill warrants the issue of a coin. The portrait on this coin is striking and the design is unusual. Although he photographed well it is difficult to convey his character on a coin. The original Churchill crown is probably one of the most unsuccessful (from a collector’s point of view) commemorative coins ever because of the vast numbers produced.